Sen. Mudashiru Hussein has emerged the flag bearer of the All Progressives Congress (APC) for Osun West Senatorial District bye-election. Hussein, who was earlier disqualified by the APC screening committee and appeal committee, was eventually cleared by the National Working Committee of the party to contest the election. 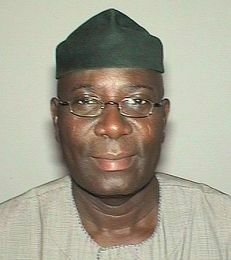 Although the former senator was unopposed in the primary election held in Osogbo, he scored 2, 412 votes. The younger brother of late Sen. Isiaka Adeleke, Demola, had defected to Peoples Democratic Party (PDP), on Tuesday evening. Demola, who was also unopposed, emerged the PDP flag-bearer after scoring 343 votes at the party’s primary held in Iwo Local Government Area of the state on Wednesday. In his acceptance speech, Hussein said he would use his mandate to serve the party and people of his senatorial district. Hussein, who described Adeleke’s death as painful, said he would build on the achievements of the late senator. ” We all have the moral burden to advance democracy and good governance in our clime, this is my commitment,’’ he said. Hussein thanked Gov. Rauf Aregbesola, the APC National Chairman, Mr John Oyegun, and other party leaders in the country for their support.